Fruit-seller Mohammed Bouazizi act of setting himself on fire had sparked a ‘revolution’ and it led to imitation-attempts in neighbouring Arab countries resulting in a complex chain of events in Arab countries - what the world came to know as 'the Arab Spring'. Exactly five years ago on December 18, a 26-year old fruit-seller in a Tunisian town, with a cartload of the finest oranges, dates and apples that day, felt deeply humiliated by a local official harassing him. This included trying to stop him from doing business, confiscating his cart and manhandling him. The fruit-seller tried to draw attention to the insults and bribes he was asked to pay for his ‘place’ in downtown Sidi Bouzid, but did not get much response. In a dictatorship of 23 years, Zine al- Abedin Ben Ali had ensured that harassment, inflation, bribes were seen as routine, and indeed were and necessary to run a dictatorship. Anxious to make a point, the fruit-seller, Mohammed Bouazizi, set himself on fire. He died on January 4, 2011, but not before he had sparked a ‘revolution’ and a whole series of events that led to the hasty departure and end of the dictatorship of Ali. The act also led to imitation-attempts in neighbouring Arab countries, spread to Egypt, triggering protests on a massive scale and resulting in a complex chain of events in Arab countries – what the world came to know as ‘the Arab Spring’. Tunisia, an agricultural country with a population of just under 11 million, is in north Africa and got its freedom from French colonial rule only in 1956. Ben Ali gained control in a ‘palace coup’ in 1987, and throwing out Ali became possible only after popular protests, fuelled by an upsurge of anger against an economy that yielded few benefits to the ordinary Tunisian, pushed prices up and the impact of the world recession of 2008 making its impact felt in the Arab world. The last upheaval in the region had been in 2003 with the invasion of Iraq by US-led forces, which splintered a large and pivotal part of the Arab world, fanning sectarian hatred and no stable economic conditions to anchor the large young populations in Arabia. The year 2010, framed by the tragic suicide of the young fruit-seller, came to a boil and gave popular anger a focus against the lavish lifestyles of the then-ruling family in Tunisia – Ben Ali had to escape within weeks of Bouazizi’s death. It did not stop there: the revolt spread to Egypt’s famous Tahrir Square, helping to uproot a well-settled and established dictatorship there, too. Trouble in Bahrain, Libya and Syria followed. It was compounded by western interference. As a result, an array of militias sprouted up everywhere – they sought money, support and influence and some of them went onto morph into what allegedly has become Daesh, or the Islamic State (IS). Five years on, the Arab world continues to stay in the news, in ferment. Events triggered by the political turmoil within these countries too saw the rise and fall of Islamist parties like the Muslim Brotherhood and their supporters. The backlash has ensured that these countries remain in a turbulent transition. Wars in Libya, Syria, Yemen, thousands of war refugees and air-strikes by western allies and Russia too now, have made this a theatre of the new ‘Great Game’. If Mohammed Bouazizi were able to revisit today, he would be surprised to find that his suicide is considered the trigger for such momentous events. 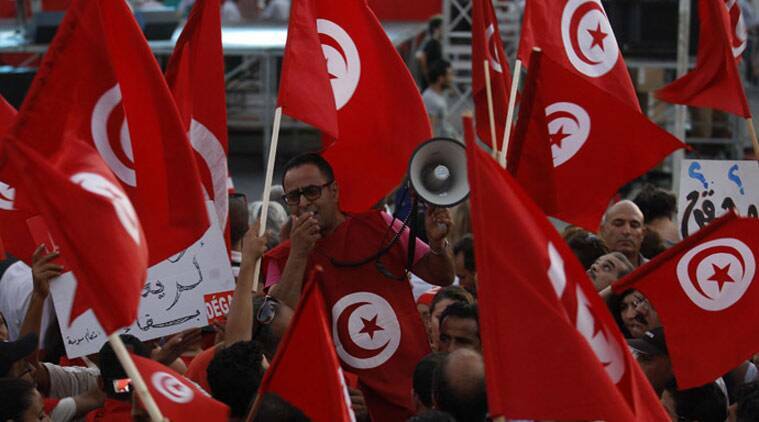 Meanwhile, Tunisia has been able to hold its first free democratic election last year and the new government is a coalition of the Liberal-Progressives and Islamist groups headed by Beji Essebsi who was the Speaker in Ben Ali’s time. Much has changed, he may note and much has not. 3 Ahmedabad air quality: From worse to just bad?